The highly experienced team at MGR Reporting knows how important reliable, accurate and timely court reporting is to your organization. That is why we are committed to maintaining a rigid standard of excellent service. We have been serving clients who—like you—demand the best for more than 25 years. 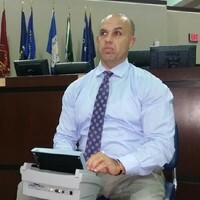 Our expert court reporters, most of whom have more than 20 years of experience in the field, have a well-earned reputation for consistent reliability and accuracy. Our distinguished track record of reliable, high-quality service has helped us gain and retain clients, who know they can rely on us for excellent service in meeting their legal and general reporting needs. The extensive expertise our team has in recording public hearings and community meetings for organizations in both the public and the private sectors distinguishes MGR Reporting from many other reporting firms. We recognize the special demands of covering these events and the critical need for accuracy and reliability. We are proud of our track record of securely delivering accurate and complete transcripts to our clients on time every time. Marc has led the firm since 2006, and has nearly two decades of experience in court reporting. Under his stewardship, the firm has provided reporting services for many high-profile cases, delivering on its commitment to high-quality, reliable, accurate and timely reporting.